I am often outspoken about the poor level of astrology practiced today, particularly in India. But now my criticisms take on a different character. Because of recent calendrical developments, I find myself defending these ‘errant’ astrologers, perhaps better than they could do themselves. The question these calendars raise is which system is Vedic or closer to what the Rishis intended. Interestingly, though the so-called Western Astrology is lambasted by certain sections of Indian astrologers who consider themselves ‘vedic’, and with exclusive rights over the title, ironically it is western astrology that must be seen to be closer to the ancient roots when both are analysed on the basis of certain fundaments of astrology. Astronomy has no place in this discussion, it must be established from the outset. In the course of this message, I will provide a few illustrations to prove the point. My reason for sending out this message to astrologers is that calendars have appeared which are held by their creators as the true and only Vedic calendars; yet in my view their shortcomings are very serious and will necessarily contribute to distancing the art from those roots to an even greater degree perhaps than the Nirayana system. As you all know, the Nirayana system uses the distant sidereal circle of the heavens to construct a horoscope or to determine the time for rituals. In my experience while discussing this aberration I have come to realise that I stand perhaps alone in realising this simple digression from the Vedic path: measurements are done in the wrong circle, thereby throwing the entire exercise off its Vedic moorings. It may be that the confusion arose some centuries ago when astronomy decided to name the constellations the same as the signs of the tropical zodiac. Be that as it may, the fact stands that the tropical/solar wheel has been set aside in favour of the very distant constellations (of the same name unfortunately). My main protest in this regard is that the measure the Earth offers to the system is completely ignored and rendered irrelevant. There are two areas of western astrology that reveal its Vedic roots more significantly. One is called the Progressed Horoscope (still in use today); the other is the Mansions of the Moon – a division of the zodiacal wheel in 27 parts, each segment measuring 13 degrees 20; or the annual mean motion of the Moon. In India these sections have been given the names of the Nakshatras; they are not known as the Mansions of the Moon at all, though the 13degrees20 is still honoured. I will return to this particular topic further on in discussing the ‘vedic’ calendars in question because this development is the main theme of my message in that astrologers are criticised for these equal divisions by astronomers who measure them in the constellations, rather than in the tropical zodiac of the ecliptic. In the former we do find that the famed Nakshatras, without a doubt the most important feature of Indian astrology, do not measure an even 13degrees20. My complaint is that no astrologer in India today is able to counter these criticisms cogently, based on the Vedic approach to astrology. This is surely because they have moved very far from the Vedic methodology, but not in the way the champions of the ‘true Vedic Astrology’ would have us believe. In the distant past, when astronomy separated from astrology, astronomers gave an imaginative twist to the zodiac. They projected the twelve signs onto the constellations of fixed stars in a fanciful exercise that is totally arbitrary. Astronomy used the stars as dots with which to draw the zodiacal figures in the heavens, similar to the children’s game of ‘joining the dots’, but far less real. Naturally any such image is non-existent; but the fact remains that in so doing these contrived figures when completed do exceed the even 30 degrees of the traditional signs of the tropical zodiac, or fall far short. This excess or shortcoming is sought to be corrected by the ‘true Vedic astrologers’. I will return to this subject further on when discussing the Mansions of the Moon. The Vedic approach is essentially one of equivalency and correspondences. I never tire of explaining this self-evident fact. The Hermetic axiom is of the same order: As above, so below. Therefore, the question would be to understand these laws and how to apply them. One such law is more than clear in its character of equivalency: One year for a day. I know that even the champions of Hindu astrology, which they hold to be superior to the western counterpart, must acknowledge that this axiom/law comes directly from the Veda and though not employed in India it is a firm pillar of western astrology. Most predictive astrology is based on this single Law. A horoscope is ‘progressed’ after birth with one day being equivalent to one year of life – i.e., the tenth day after birth would provide details of the life of the individual in his tenth year. Of course astronomers cannot appreciate this basic nature of astrology and Vedic methodology. They have a hard enough time trying to understand how planets can ‘influence’ anything or anyone at all; hence this question of a totally non-physical relationship is beyond their scope. And yet we do have nuclear physicists telling us that particles are related even at vast distances, or have their counterpart many light years away. However, when it comes to astrology that millennia ago realised these basic truths of our universe, they cry PSEUDO-SCIENCE! The correspondence between a day and a year is simple enough to explain. It concerns the axial rotation of the Earth in 24 hours and her annual rotation around the Sun in 365 days. Within both measurements, the Earth’s relation to the luminary by correspondence and equivalency is the same in terms of experience. Regarding the Nakshatras, the problem lies in the fact that similar to the double up of names for the signs of both the tropical zodiac and the constellations, confusion has arisen. A ‘star’ of the Nakshatra is taken as the name of that particular segment of 13degrees20 of the wheel. So naturally astronomers howl – and along with them the ‘true’ Vedic astrologers howl: The Nakshatras OUT THERE are not an even 13degrees20 of the full celestial wheel as they figure in the constellations. They vary enormously in size so that this neat 13degrees20 cannot possibly be ‘science’. But anyone who knows the laws of equivalency has no difficulty in understanding the division. Moreover, and this is most important to note, the place in the zodiacal wheel where each segment ends is known as a ‘critical degree’. A planet or other important feature of a horoscope must be within one degree of these 13/20, as measured from Zero Point Aries, through to the 360th degree of the zodiac, the last, to be considered ‘critical’ – i.e., having significant importance in the life of an individual. Only a proficient astrologer can make use of the system of equivalency adequately, and such an astrologer can verify that planets falling on these critical degrees are extremely significant when analysing a person’s horoscope. It is not a question of influences emanating from planets – which plays no role in Vedic Astrology; rather it is simply the Harmony of Measure. The real issue is not at all astronomical measurements of the zodiac figures projected onto the constellations and how large or how small they may be, which in any case is relative and arbitrary. Rather, the real Vedic astrology deals with the various divisions of the ‘one circle’ extolled in the hymns. There is the basic division of 12 (equal to 30 degrees of the circle), of 9 (= 40 degrees), 144 (= 2.5 degrees); or else 27 (= 13+ degrees) as in the famed Nakshatras. These magical divisions of the one wheel display the brilliance of the Vedic methodology. They have nothing to do with the arbitrary ‘zodiac’ of astronomers projected into the Beyond. To seek to impose this fiction on astrologers in India is to move definitively away from the Vedic poise in favour of a relativism that was absent when the fundaments of astrology arose in the consciousness of the Rishi. The Rig and Atharva Vedas insist that all measuring must be done in the one circle. Then only can equivalence and correspondence form the basis of Vedic astrology. But with that comes the real question: Where does that one circle begin? What is its Zero Point, its ayanamsha – that ‘shakes not in the least’, that is ‘firmly riveted’? To discover what is permanent, and eternally valid, we need the Equinoxes and Solstices – which do not exist in the constellations. This is the only item that requires immediate reform: the coincidence of Makar Sankranti with the solstice, and the beginning of the zodiacal year with the Equinox. All the rest is superfluous and meaningless with this basic reform that does away with the arbitrary 23-day late Sankranti imposed by astronomers and that finds no sanction in the Veda. I beg to differ. We may have here a ‘notable’ astronomer, but he is definitely not an astrologer. 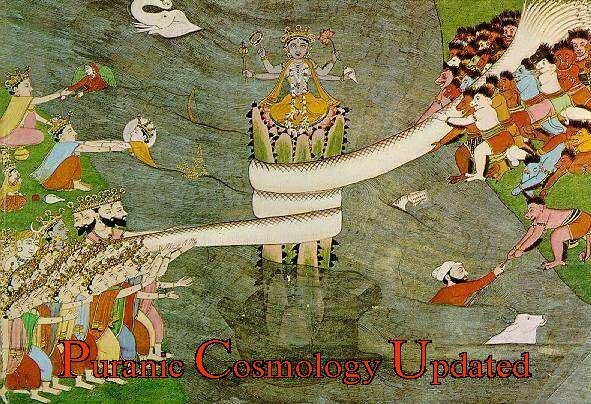 What he states is correct in terms of the imaginative measurements he makes in the constellations, but it has nothing to do with the zodiacal wheel on which all astrology – and especially VEDIC astrology – is based. Further, what he states shows ignorance of the very basis of Vedic astrology which is this question of equivalency and the harmonies of our solar system. For this reason I have stated time and again that the real problem arose in astrology not when its practitioners went ‘lazy’ as the noted astronomer claims, but when they were faced with the onslaught of an emerging astronomy SEPARATE FROM ASTROLOGY. The entire world suffered the same scourge. We live with the results of that separation even today when a completely materialistic consciousness has displaced the wisdom of the ages to the extent that astrologers themselves have been undermined and are no longer in a position to defend their sacred and noble Art. The problem became solidified when Pandit Jawaharlal Nehru established a Calendar Reform Committee in 1953 to set matters right for Hindus, seeking to bring the faithful under the umbrella of a more ‘scientific’ perception which, he felt, would eliminate the prevalent superstition and inaccuracies – such as the noted astronomer Briijendra Shrivastav has supplied. In closing his message to the Committee, Pandit Nehru wrote, ‘I hope that our scientists will give the lead in this matter [calendar reform]’. The problem of interference from those in total ignorance of the sacred sciences was compounded by his and other authoritative statements. But again my complaint is, where were the astrologers at the time who could defend their Art from the onslaught of men in total ignorance of astrology? And so, we have Shri Lokesh Darshaney evidencing the same confusion though he seeks to correct the current reliance on the Nirayana system with its 23-day late Makar Sankranti, when he interprets the Veda according to his convenience. His efforts at reform are to be applauded, but to some extent he downplays the role Equinoxes and Solstices play when he insists on establishing the beginning of the year in February (Chinese influence?) which he contends is the beginning of spring and therefore more in line with the Veda which, in his view, uphold a seasonal calendar. The seasons are certainly important but where I live in India spring is not in evidence in February, as his interpretation reads. We are in March and there are no signs of the ‘Vedic Spring’ he believes should initiate the calendar! And if ‘observation’ is the call of the hour, to quote the learned Shri Shrivastav, in the effort to eliminate superstition, then simple observation indicates that February is mid-winter across the northern hemisphere. Shri Darshaney does emphasise that Makar Sankranti and the December Solstice introduce Uttarayana, or the northernmost point of the year. But then he sets aside the Cardinal Points, of which Makar Sankranti is the fourth, when he starts his calendar on 20-21 February. The reason why this cannot hold, particularly if you are advocating a seasonal calendar and holding that alone as ‘vedic’, is because astrology is very clear on the issue. A season is introduced by the Rajas Guna. It cannot begin with a Sattwa or Tamas Guna, as his calendar advocates. The real seasons fall in line perfectly with the Gunas, or Qualities as they are called in the West. These are three in number and are repeated four times in the course of the 12-month year. But here is the rub: Cardinal, Fixed, and Mutable (the astrological Qualities) in their cosmic application must be established (seasonal and cosmic) in this corresponding order: Rajas, Sattwa, Tamas. Today the order is commonly recited as Sattwa, Rajas and Tamas. We are free to do so when we want to emphasise the Sattwa Guna as superior to the rest; but for a cosmic application that order is not appropriate. Indeed, we cannot apply the formula to the cosmic harmony if we do so. We would never think of saying Preservation, Creation and Destruction. At least we hope and pray that this cosmic aberration never takes place because it would mean the dissolution of our world! Why then do we commit this aberration in our review of the astrological arts? Perhaps the most important dimension of zodiacal wisdom lies in the application of the gunas in a horoscope, or in reading the destiny of nations and individuals. This formula is widely understood in the West; in India I know of no astrologer that makes use of the Qualities or that understands their relationship to Rajas, Sattwa and Tamas, or to the Trinity creation, preservation, destruction. Therefore I say to Shri Darshaney, rethink this issue. Begin your calendar and the year on Mahavishuva – the March Equinox. That is the beginning of the zodiacal ‘journey’ as it figures in the initiation documented in the Rig Veda. However, there is more to this aberration than a simple misplacement of the seasons. The noted astronomer would be pleased with this development because according to him it is observation of phenomena that is the issue – completely ignoring the real Vedic premise of equivalency and correspondence: The Rishi looked within and there he or she found the entire universe with which he could identify. No matter how deeply the astronomer peers through his telescope, no matter how potent these become, he can never identify with the harmony of the cosmos and the cosmic consciousness of the Seer whose vision is based on unity ever and always, on interconnectedness and on a perception of Oneness. The astronomer’s observation is always external and into the past. On the other hand, the Rishi’s inner universe offers the seer trikaladrishti, a comprehensive perception of simultaneity: past, present and future. Humanity has been bearing the weight of this loss ever since the sciences were divested of their sanctity in favour of a meaningless and purposeless ‘observation’ that sees nothing but shouts the loudest. Astronomers must stay out of astrology which is far beyond their purview. They criticise, issue statements, condemn everything they do not understand as ‘coincidence’ at best and superstition at worst. But the real cause of superstition is precisely because astronomy poked its nose into sacred matters and divested them of all meaning. They proclaim that astrologers are only after money for which they fleece a gullible public. But I hold that scientists are the real culprits because knowing absolutely nothing of the sacred they are bent on undermining those who do. It is time for astrologers to stand up straight and defend this Mother of all Science. She is the favourite child of Mahasaraswati. We must never forget that. My heart goes out to the astrologers of this country – the land that gave the sacred art to the world millennia ago, only to have it become veiled and hidden in the place of its origin. Now they must find the sacred once again because only that knowledge can inform us what the divine Measure must be; in lay terms, what exactly must be measured and why. Currently this is the reigning confusion: what should we measure, where and why? Astrologers have the right form of things; but, as Sri Aurobindo stated so well, the soul of knowledge has fled from its coverings. It is time to remove those coverings and re-appropriate what was once India’s own. Not in the way of a fanatical capture that isolates and divides and cuts India off from both cosmos and world, but through love of Mahasaraswati, thankful for the grace she has showered on this land. Those forms are the right ones – be not fooled by those who do not know. But the duty of the astrologer is to reach the heart of Knowledge that gives meaning to those chosen forms. Astronomers are not Initiates; the real astrologer is. The scientist needs to see the shape (form) of the zodiacal figures projected far beyond into the heavens, in a fanciful imagery that has no basis in the reality that is. The seer finds those figures within, where reality lies. The Rishi did not project those figures which describe his initiatory rites into a distant Beyond, unrelated to the divine Measure of the Earth. They exist within. They are etched in the soul and can be accessed when we enter that secret chamber using the right Keys the Earth herself provides: the measure of the year, as we follow the Sun with our inner Eye, one month leading into the next along the Initiate’s way.